Whenever I go up there, I usually go by Point Defiance. I was disappointed today that the cloud cover was kind of thick, which made shooting with my long lens difficult. With low light and wildlife there’s a lot of compromises to consider. If you raise the ISO, your photos come out more grainy. If you open the aperature, the field of focus becomes too narrow. If you lower the shutter speed, camera shake plus wildlife movement becomes an issue. All in all, you have to compromise with one of those settings. I’m still trying to figure out what setting I can compromise on. In any case, I was pleasantly surprised that I got some photos worthy enough of showing here. It turns out that 3200 ISO on the Canon Eos Rebel T3i can be an acceptable setting, especially if you’re taking photos for the web or for personal memories. There will be grain, but if you don’t plan on using the photos at their full resolution, or plan on printing them, you might be pleasantly surprised. Of course, ideally you should wait for a sunny day, but nature can’t be planned for. Oh, if you’re taking photos of ducks that are there every day, then do re-visit on a sunny day and use a lower ISO. But if you want to capture the moment, don’t hesitate. This entry was posted in Mallard Ducks, Point Defiance Park, Tacoma, WA on September 30, 2015 by Linnea. 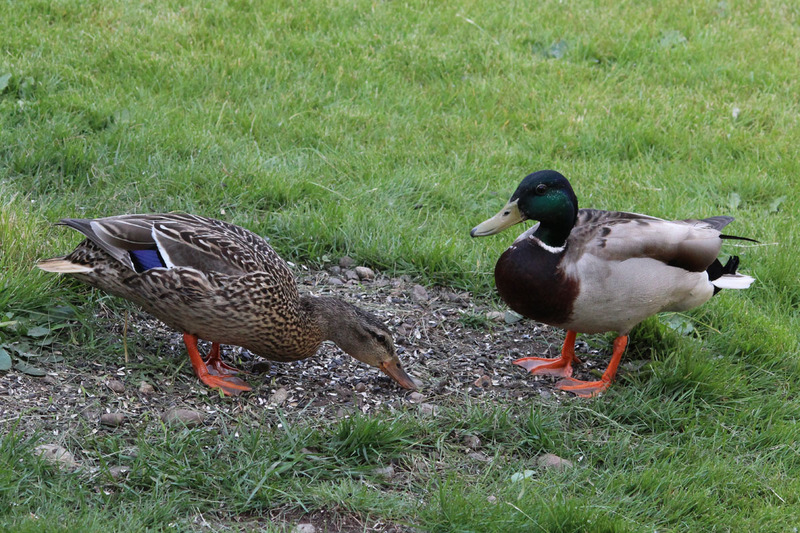 The Day the Mallard Ducks Came to Our Birdfeeder…. 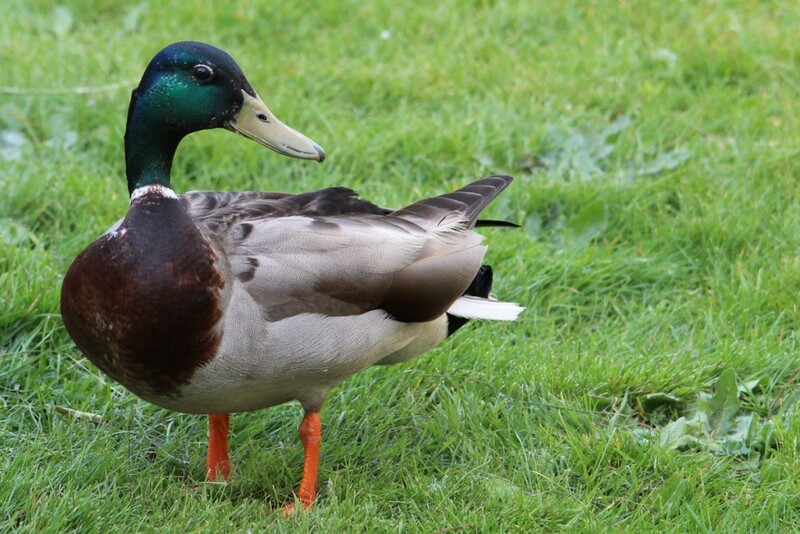 I expected to see House Finches or American Goldfinches at our feeder, but not Mallard Ducks! To my amazement, these ducks flew into our backyard to graze on bird seed! We do live near water, and Mallard Ducks are one of the most common ducks to see here, but I didn’t know that they would eat bird seed! We were feeding the birds a cheap mix of seeds that included corn, red milo, white milo, safflower and sunflower seeds. It’s anyone’s guess which seed or grain that the Mallards liked most, but I guess if you want ducks to come to your bird feeder, provide a mix! Note that the Mallards didn’t actually land ON our bird feeder, which is good, because their feet are webbed and they must weigh A LOT compared to the little song birds (who knows if our feeder could even handle that!). They just ate bird seed from under the feeder. I often spill out the old seed onto the ground when I refill my platform feeder, and if I don’t do that, birds like the Red-Winged Blackbirds will help the ground birds by tossing out a lot of seed too. The female was hungrier than the male… The male stood around on lookout much of the time! 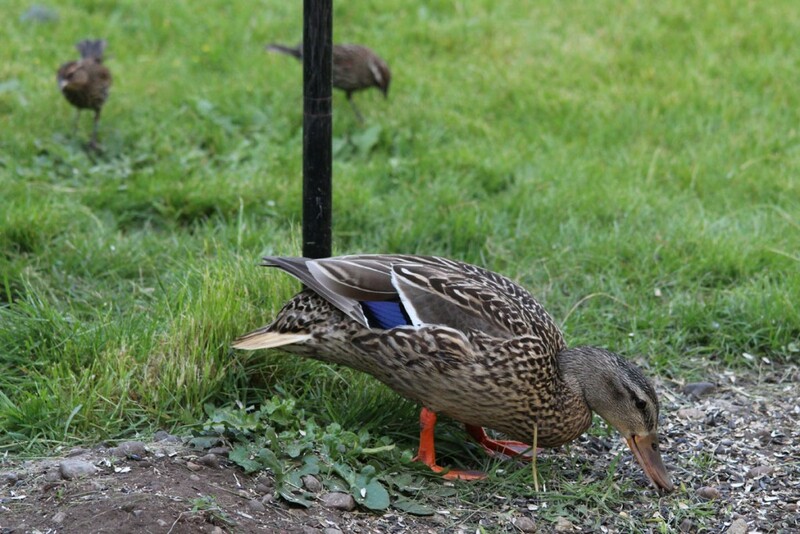 Have you ever had ducks or other waterfowl visit your bird feeders? I’d love to hear about it! 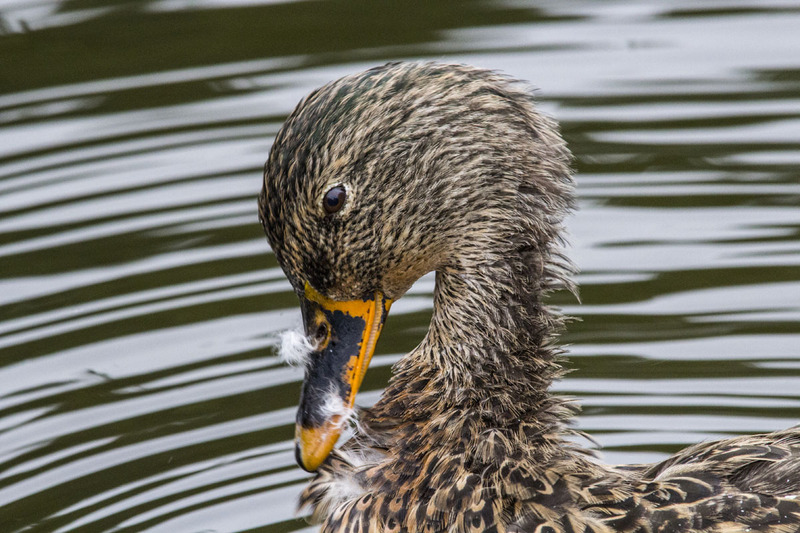 This entry was posted in Mallard Ducks on June 1, 2015 by Linnea.